Untitled, by Abolghassem Saidi (1973). Oil on canvas. Meanwhile, a recent article in Art Radar Asia, an online magazine that tracks contemporary art trends, calls Iran “one of the most prolific and productive countries for contemporary art” in the Middle East and identifies eight innovative, influential and internationally-renowned Iranian artists of the past 35 years. Included in Art Radar‘s list and accompanied by concise and illuminating blurbs about their work are photographer Abbas Kowsari, abstract calligrapher Golnaz Fathi, and painters Afshin Pirhashemi, Alireza Adambakan, and Babak Roshaninejad. Born in Sangsar in 1952, painter, musician and performance artist Reza Derakshani grew up in a tent in the countryside. His nomadic childhood inspires his art. He studied art in Tehran and Pasadena, California. 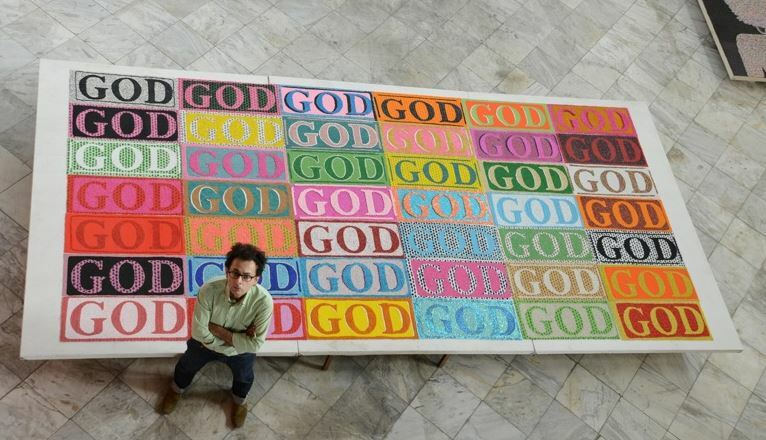 In 1983, following the Islamic Revolution, he lived in exile in New York and Italy. He currently lives and works in Dubai and Austin, Texas. 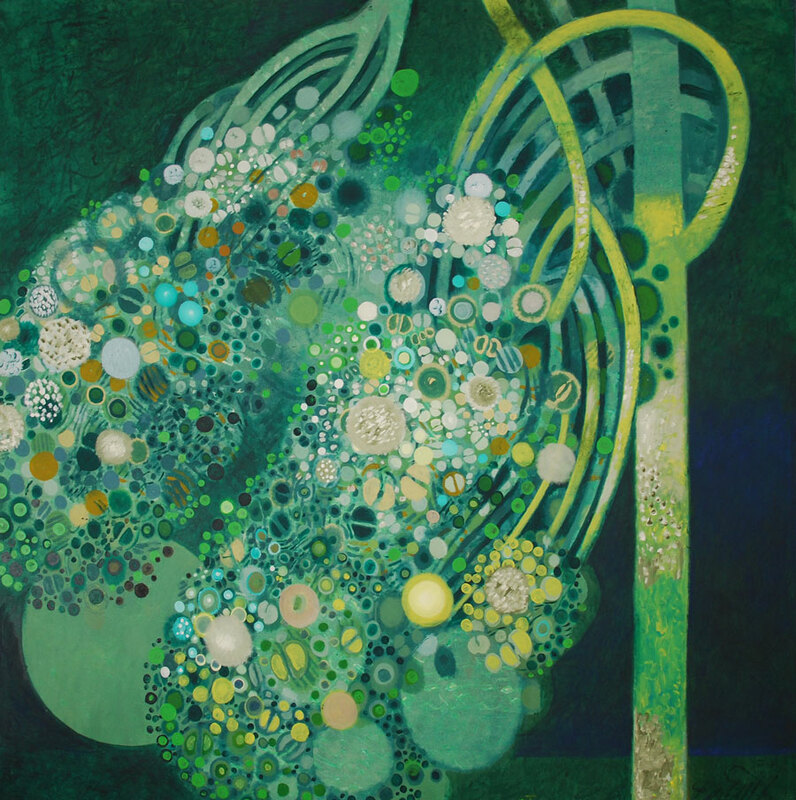 Derakshani’s artwork is collected by high-profile figures such as Leon Black, Sting and Trudie Styler and the Royal family of Abu Dhabi. The British Museum has recently commissioned new works. 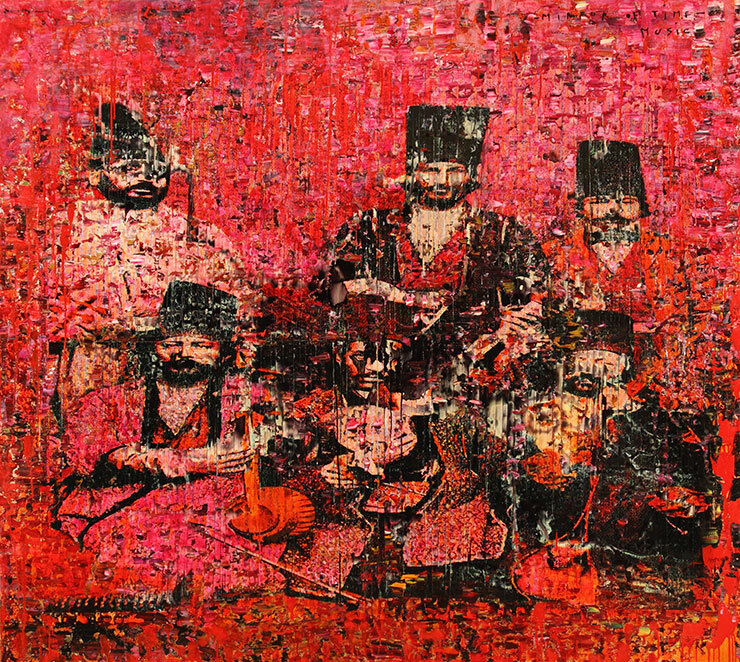 Masters of Persian, Reza Derakshani (2008). Mixed media on canvas. Afshin Pirhashemi, born in 1974 in Urmia, where he lives now, is known for his black and white photo-realistic paintings of women. His artistic talent was seen from childhood. As a teenager, he received a grant from the Italian Ambassador to study at the Rome Art Academy, and then received his BA at Azad University. According to ArtTactic, the price range for his paintings is from USD 10,000- 50,000, and he is listed as having high market confidence. 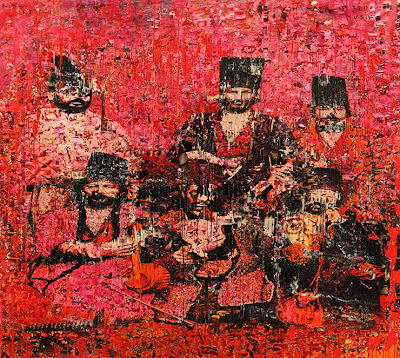 Pirhashemi won awards for his painting at the 2003 Tehran 6th International Art Biennial, and the 2004 Beijing Art Biennial Award. Marriage, Afshin Pirhashemi (2012). Oil on canvas. 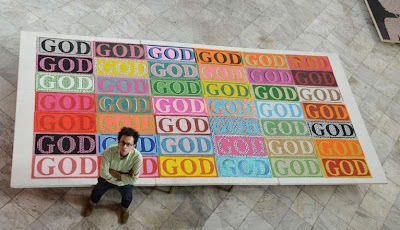 God in Color, Farhad Moshiri (2012). Hand embroidery on canvas. From high-priced auctions in Tehran to exhibitions in New York, Iranian artwork from the past six-plus decades – created in the midst of monarchy, modernization, foreign intervention and popular revolution – never ceases to reflect the complexity of Iranian culture, reinvent itself, attract attention and amaze the world.